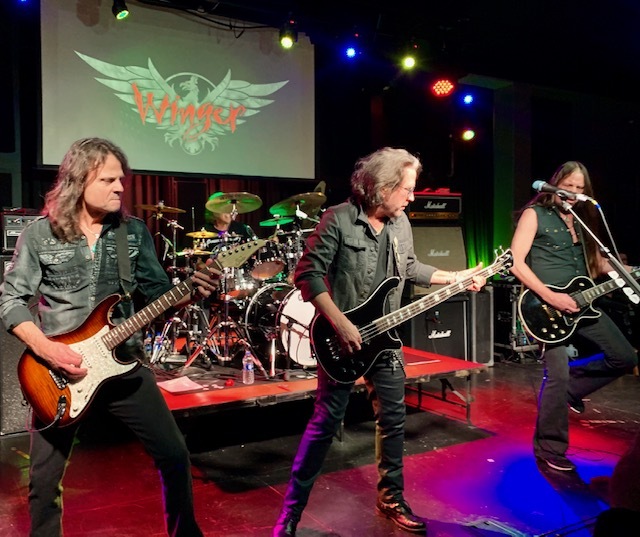 KNAC.COM - Reviews - WINGER In New Bedford, MA With Photos! 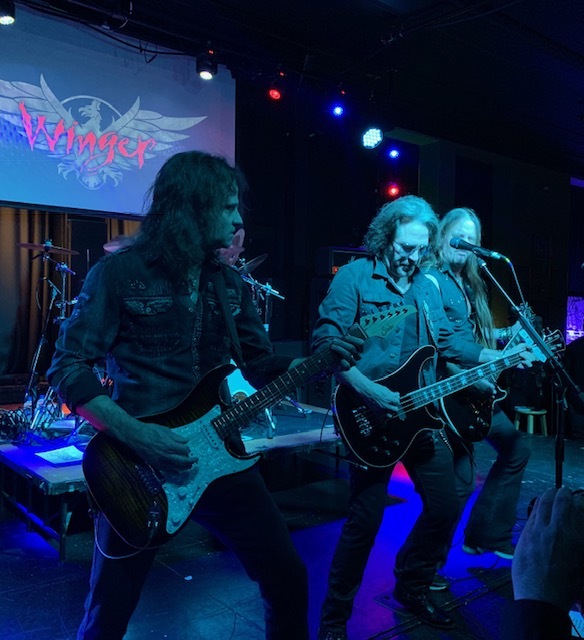 WINGER In New Bedford, MA With Photos! It wasn't quite a dark and stormy night when my friend George and I trooped out to see WINGER play their show at the Greasy Luck in New Bedford (or soon to be known officially as The Vault Music Hall & Pub at Greasy Luck), but it was damp and rainy which did nothing to help my slight head cold. Neither did the decision by some genius inside the venue to turn on the air conditioner during the show. Not only did I see a few people putting their jackets BACK on, but it ended up exacerbating my slight cold into a full blown sickness the next day. 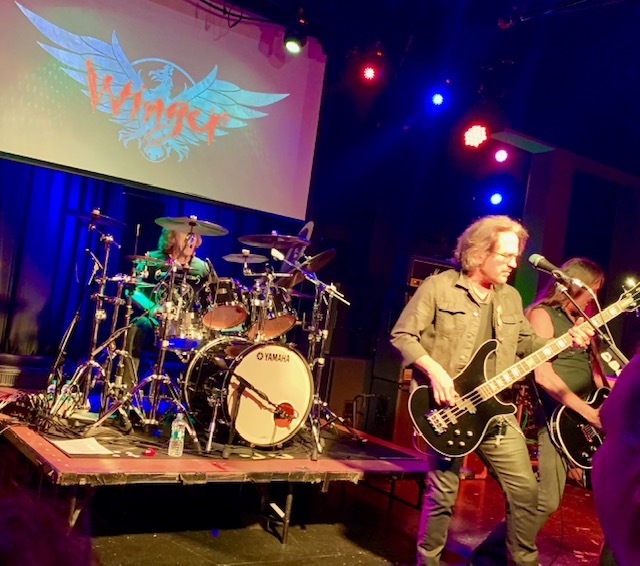 That said, while I was there at the venue I was treated to a pretty entertaining night of music from both WINGER and the opening local cover band SAN DIMAS. It was also a gathering of a number of people that I've made the acquaintance from attending any number of shows at The Greasy Luck. 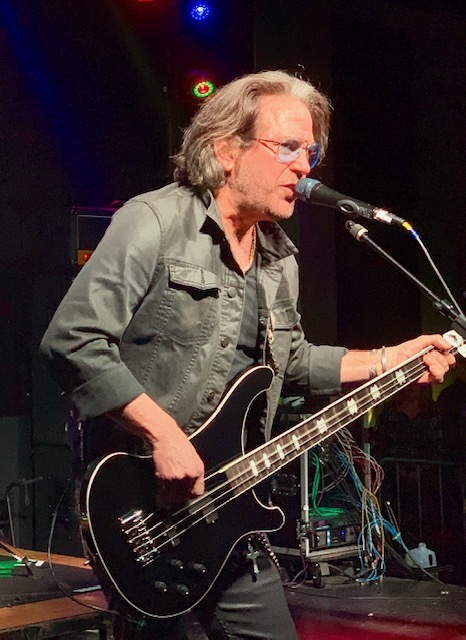 One woman standing next to me during the show even remembered me from when I covered Kip Winger's solo show back in July 2018. As I said, the band SAN DIMAS opened up the show. (Full disclosure notice here: I'm friends with drummer Roger Chouinard, having known him for more than 30 years.) The band played a nine song set that ranged from songs by JOURNEY and DOKKEN to tracks from DIO and a somewhat surprising cover of Lita Ford's "Kiss Me Deadly". I've seen the band three times now and I'd say that this was the performance I enjoyed the most, although I wasn't crazy about their rendition of MOTLEY CRUE's "Girls, Girls, Girls". That small nitpick aside though, they did a good job of warming up the crowd for WINGER and I was particularly enthused by how well their run through of DIO's "Holy Diver" came out. That song and WARRANT's "Uncle Tom's Cabin" were my personal favorites from their set. 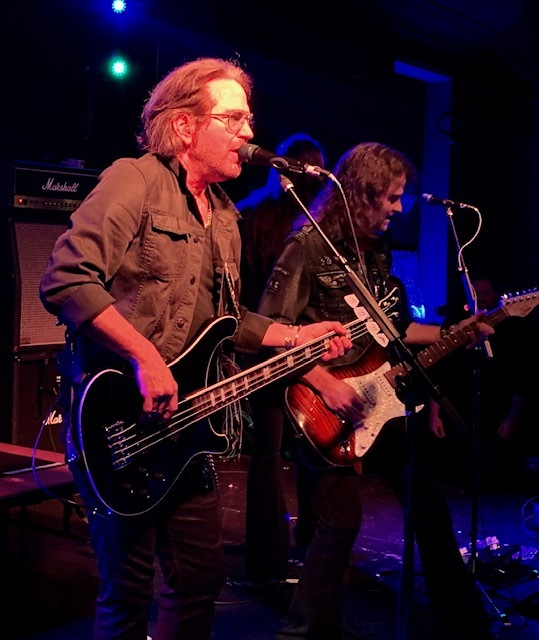 As I wrote in my review last year of Kip Winger's solo show at the Greasy Luck, I haven't seen the full WINGER band in concert since they opened for BAD COMPANY back in 1988. So there's obviously been some changes with the band over the intervening three-plus decades. While the lineup has remained mostly intact over the years save guitarist John Roth who's been a permanent member of the band since 2006. So it shouldn't come as much of a surprise that as the band took the stage, they were extremely tight, musically speaking. They took the stage and hammered home a killer version of "Midnight Driver Of A Love Machine". I'll admit that the title is a little corny to my sensibilities but it's got a great driving rhythm and a killer chorus. 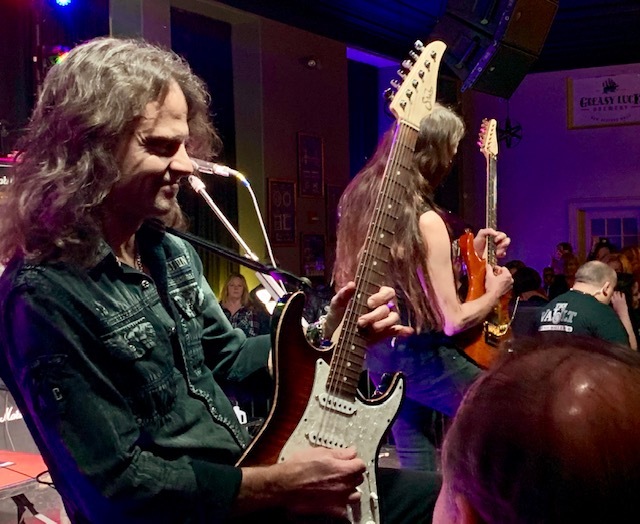 From my viewpoint of the stage, John Roth was right in front of me most of the night while guitarist Reb Beach was on the far side of the stage. There was a little crossover during the concert but it was Roth's performance that was right in my face most of the time and during his solo spot in the show after "Down Incognito", you could marvel at the fretwork involved because he was so close to you. 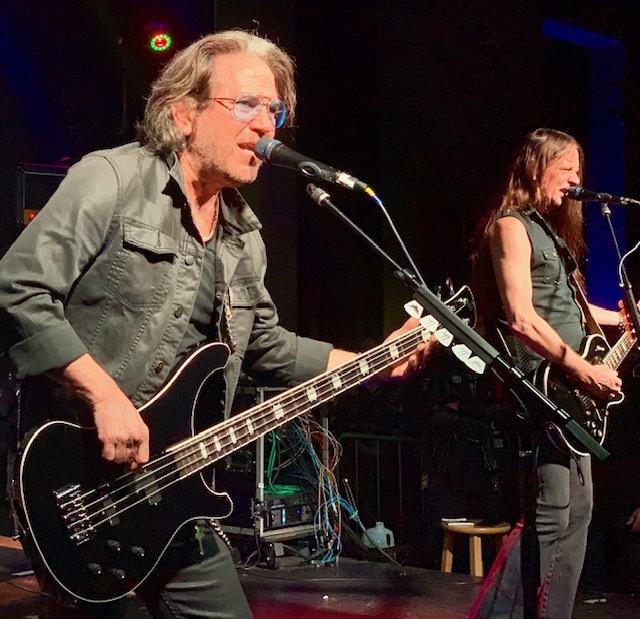 The set list featured songs from each of the WINGER albums except IV, and they were pretty well mixed in to keep the crowd rocking throughout the night. The audience was really in a great participatory mood and killed it when it came time to sing the chorus of "Easy Come Easy Go" back to the band. Before the band went into "Hungry", Kip had mentioned that he'd played a solo show at the Greasy Luck, but I'm a bit worried for his memory because he said it was 1 1/2 or 2 years ago when in fact it was just 7 months ago. However, during that solo show he'd mentioned that he loved the venue and wanted to bring the band to play so I consider his word having been kept. Kip made sure to spotlight each member of the band with an intro. 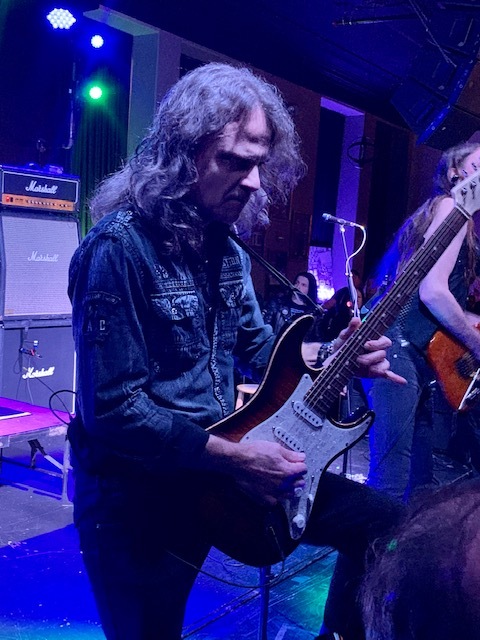 He talked up John Roth leading into "Down Incognito" and then did that again for Reb Beach to lead into a phenomenal rendition of "Rat Race", one of the band's more maniacally intense and fast paced rockers. He was slightly less effective in thanking SAN DIMAS because in an unintentionally funny moment he forgot their name. The band slowed things down for a portion of the show and performed ballads "Miles Away" and "Headed For a Heartbreak" back to back. Kip was on keyboards for the two songs with John Roth playing bass. The songs were fine but I've never really gotten into them as much as the band's more rocking material. Going back to "Rat Race" for a minute, you'll note that I haven't yet mentioned the contributions of drummer Rod Morgenstein. This is because I wanted to save that until I got to the point in the show where he performed a drum solo. Now, I'm normally one to complain these days about solos being played in the show in lieu of another song, but I have to say that there was something so intricately intriguing about Morgenstein's playing during the solo. It wasn't just a random beating of the skins, it was an artful song in and of itself. In fact, I found myself watching him perform behind the kit throughout the concert. I enjoyed the solo so much that I mentioned it to George after we left the venue as one of the more interesting parts of the show. Who would've thought there'd ever be a point where I would say that I wish a drum solo had gone on longer? 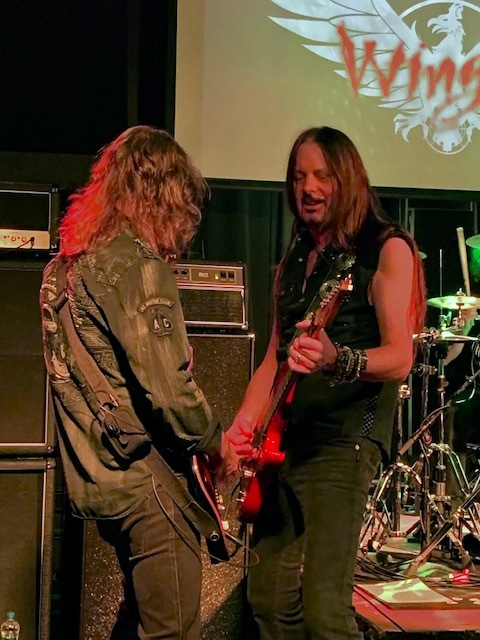 Meanwhile, Reb Beach got the solo spotlight in between "Madalaine" and "Seventeen". The WINGER show was my first of 2019 and while it is impossible to know what my favorite show of the year will be at this point, I will say that as the band rocked their way from one big track to the next, they did set the bar for the rest of my planned concert excursions this year. It was an invigorating night of rock and roll featuring songs that formed part of the foundation that my love of music is built upon. Not even the passage of time can affect the effect songs like "Madalaine" (always my favorite song from the band's first album) and "Seventeen" have on me. Judging by the reaction of the rest of the crowd, they had as good a time as I did. 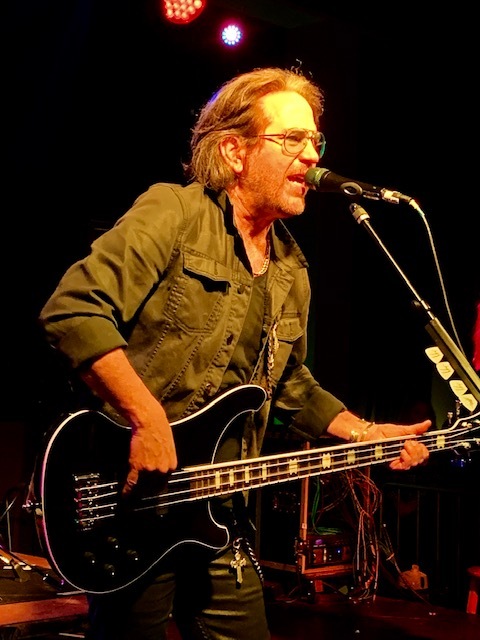 "Midnight Driver of a Love Machine"
"Junkyard Dog (Tears Of Stone)"
For more on the upcoming slate of concerts at the Greasy Luck: https://www.facebook.com/pg/GreasyLuckNB/events/ CONCERT FUN FACT: I'd say my friend George had a pretty enjoyable night for himself. At one point Kip stuck his bass out into the crowd in his direction and George got to play it for a brief moment. Then during the closing cover of VAN HALEN's "Ain't Talkin' Bout Love", George got to sing a bit when Kip stuck the mic right in his face. Check out a few more pics from the show!